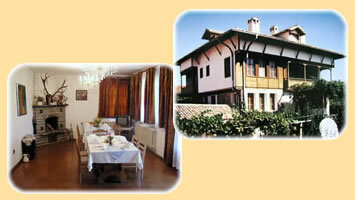 Arbanassi hotel is situated in the architectural reserve of the same name and keeps the spirit and the charm of the Revival period with its typical architecture. It is a vast two-storeyed house with stone foundations, a huge joint terrace, an open-air tavern, a big yard with orchard. 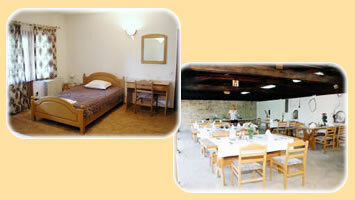 The hotel is equipped with 9 rooms with two beds and one suite with a fireplace. All rooms are furnished in a modern style, with a bathroom (with a bath/jacuzzi or shower) and a toilet of their own. They have a heating installation, air-conditioners and TV sets with cable television. The hotel can accommodate 20 guests. The hotel has at its disposal an indoor restaurant with 25 seats and an open-air tavern with 80 seats, which are suitable for weddings, christenings and other events.